The Lahore School of Economics is organizing an International Conference on Management of Pakistan Economy on n April 28 – 30, 2005 at its Main Campus. The Conference will bring together a group of distinguished policymakers, academics, and international experts related to economic management. Many of them would be are presenting papers on various aspects of the management of the economy of Pakistan. Some of the subjects to be discussed are Entrepreneurship, Private Investment and Economic Growth, Managing the Public Sector Development Program, Breaking out of the Dept Trap, Issues in Monitory Management, Raising Productivity and Incomes in the Agrarian Economy, Facing the WTO Challenges, Investment in Education and Skill Development, Why Employment Matters and Governing the State. Students at Lahore School are encouraged to pursue self-initiated projects and to produce high quality work in curricular as well as extra curricular contexts. A talent hunt Musical Evening was held in Lahore School of Economics City Campus on Saturday, Mar 19, 2005. Photographs of the event are in zeitgeist down the sidebar. The Second LSE Declamation and Debating Competition was held on Saturday, Mar 12, 2005 in the City Campus of Lahore School of Economics. Maliha Mansoor Bsc I, Mehreen Shafiq BSc I, Zain Tanveer Bsc I and S. Ali Abbass Bsc II got first four positions whereas Ahmad Babar got consolation prize. Photographs of the event in zeitgeist down the sidebar. The Second LSE Declamation and Debating Competition (Urdu as well as English) is scheduled to be held on Saturday, Mar 12, 2005 in the City Campus of Lahore School of Economics. Good discussion on topics from March of Science” to “I am a Genetic Disaster” and many more is expected. Lahore School students and some faculty member are on a visit to Uch – one of the famous travel destinations in the heart of Cholistan. Archeologists say that Uch is one of the places inhabited since Indus Civilization. This is where river Hakra was lost. But so much is still there to see. The Lahore School of Economics is offering Assistant, Associate and Visiting Professor Positions for the Fall of 2005. The Lahore School is one of the leading research and teaching universities in Pakistan, offering undergraduate and graduate degrees in the areas of economics, management, political science and information technology. The Lahore School offers competitive benefits (including accommodations and airfare for travel abroad) for qualified full-time and visiting faculty. Visiting faculty positions are also available for the summer semester and these positions include international airfare and accommodations in Lahore. If interested, contact: Dr. Shahid Amjad Chaudhry, the Rector of the Lahore School, at: drshahid@lse.edu.pk. 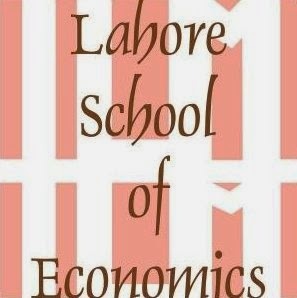 Additional Information about the Lahore School of Economics is available on the university's website.